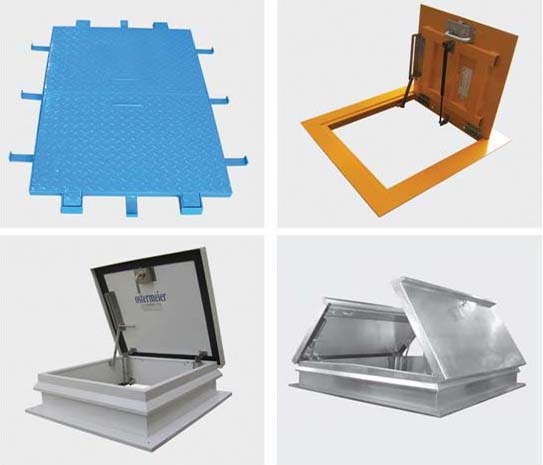 Various models of Roof Access Covers, Floor Access Covers and Wall Access Panels. Manufactured for external or internal applications. Roof Access Hatch Covers have insulated covers and frames for thermal isolation from external heat. They are equipped with high quality spring-assisted lifting mechanism. 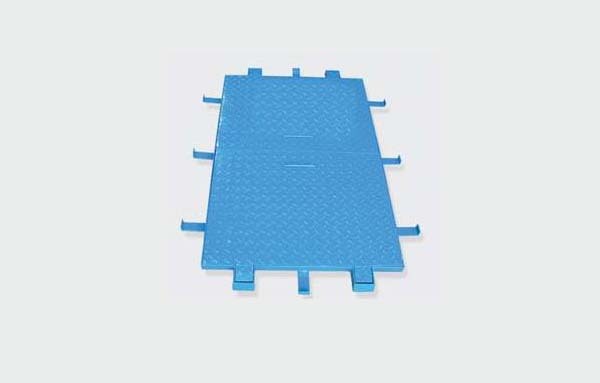 Standard Floor Access Covers have a non-slip solid top. They are fitted with heavy-duty hinges and locks; also available in spring assisted lifting models. Wall Access Panels come in single skin flush type and recessed type models and are available in galvanized steel powder coated finish, or stainless steel brush / polished finish. MS Galvanized Floor Access Covers have raised non-slip solid top chequered pattern. Adequate reinforcing stiffeners are provided to resist flexing of cover under load conditions. 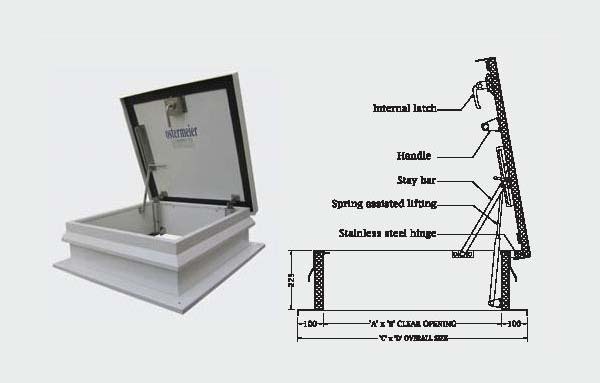 The hinged covers are used as floor access covers and water tank covers. These are lockable and have self locking safety stay bars which retain the cover in position. MS Galvanized Multi-Part Hinged Covers have raised non-slip solid top chequered pattern. 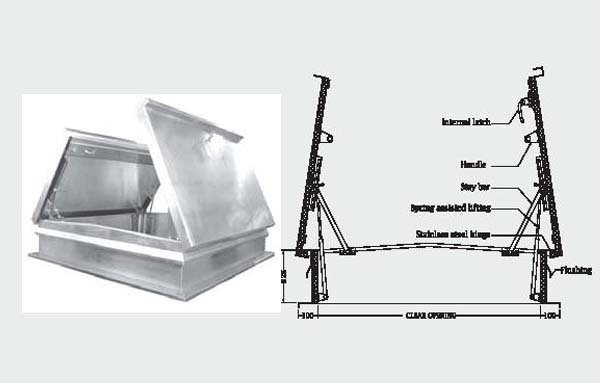 Adequate reinforcing stiffeners are provided to resist flexing of cover under load conditions. 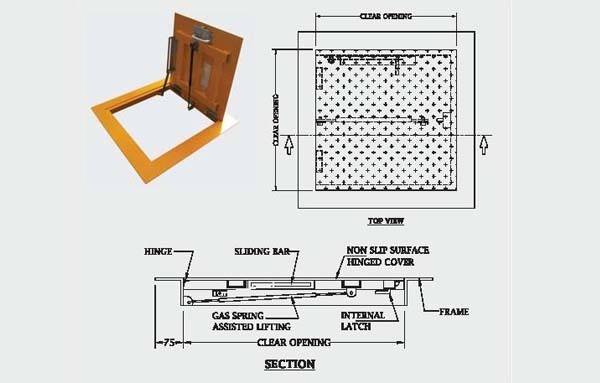 The hinged covers are used as Floor Access Covers and Water Tank Covers. These are lockable and have self locating safety stay bars which retain the cover in position. Roof Access Hatch Covers are cost effective and reliable products for access to roof with ease of operation and maintenance. Available in standard sizes and manufactured as per site conditions. Multi-Part Roof Access Covers are cost effective and reliable products for access to roof with ease of operation and maintenance. Available in standard sizes and also manufactured as per site conditions.